Bed & Breakfast at Ruswarp Hall near Whitby, North Yorkshire. Breakfast at Ruswarp Hall is entrenched in our location, with locally sourced produce carefully selected from the neighboring area. 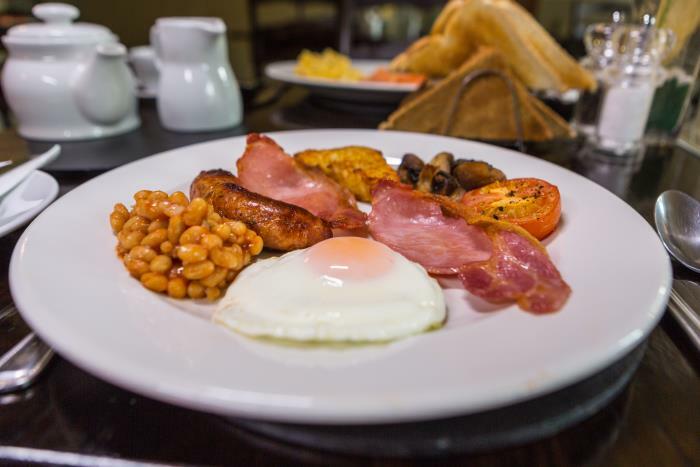 Our Full Yorkshire Breakfast takes centre stage, boasting local free-range eggs, and meats from award winning Jackson&apos;s Butchers, conveniently placed just 20 yards away. Most visitors can&apos;t resist taking home a well-renowned Jackson&apos;s Pork Pie on the last day of their stay! The fresh and varied menu, naturally includes vegetarian and fish options. Why not try a pair of Fortune’s Kippers, from Whitby’s 139 year old traditional smokehouse – we guarantee you won’t be disappointed. Breakfast is served 8am-9.30am. Please advise us of any special dietary requirements when booking. Our Yorkshire breakfast made up from top quality locally sourced ingredients, including sausage and bacon from Jackson&apos;s butchers. 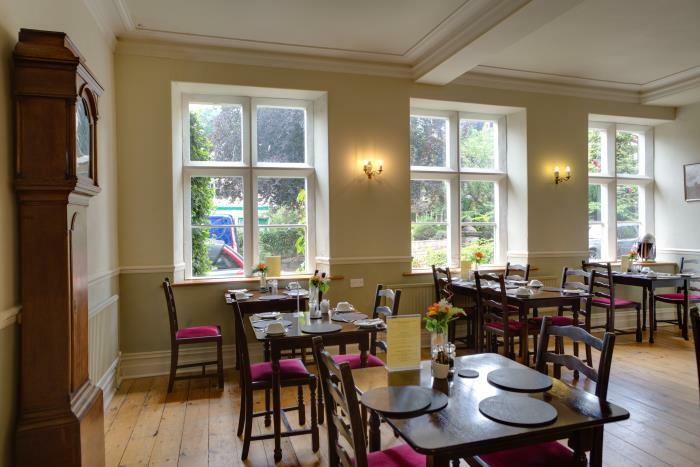 Our light, airy breakfast room is full of character and provides a relaxing environment for your first meal of the day.